It's almost been three months since Dylan and I got engaged, and I think that it's about time that I start wedding dress shopping! One of my friends recently told me about Dominique Levesque's Bridal I Found the Gown Bridal Sale, and I got so excited! My maid of honour, Jenny, and I actually visited Dominique Levesque Bridal last week for a first look at bridesmaids dresses. Dominique Levesque Bridal is a bridal salon right here in Ottawa (1300 Carling Avenue), so I was incredibly excited to find out that they were holding a sale! They also have a location in Gatineau, for anyone on the Quebec side. 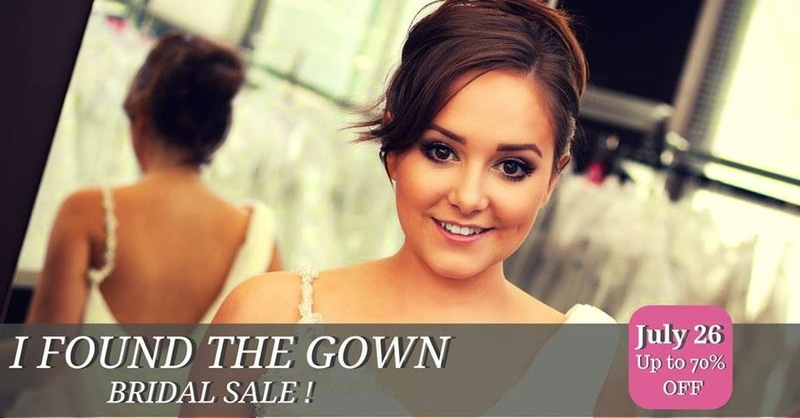 Dominique Levesque Bridal is promising dresses at up to 70% off, starting at only $299! The sale is this Saturday, July 26th 2014 from 10 am - 5 pm. I did call the boutique, and you can either make an appointment (the only remaining spots were in the afternoon), or you can show up and wait in line. I was told that the line varies from year to year, and that if I showed up around 9am I should be fine. I'm incredibly excited to start trying on dresses! I'm also a bit nervous, and I would love any tips that any married women have to offer! 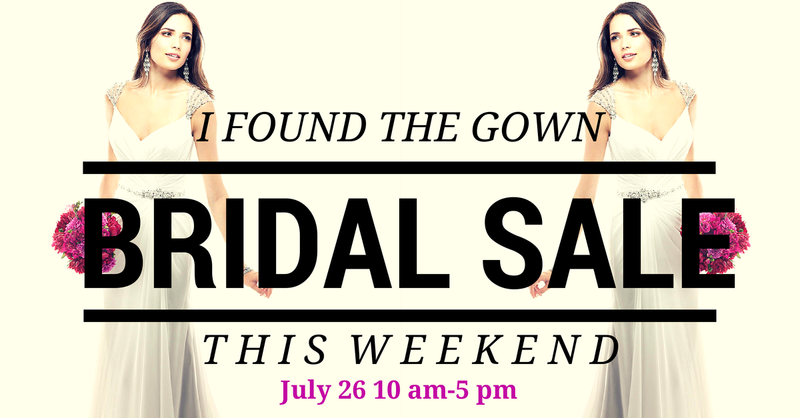 If you're engaged and in the Ottawa/Gatineau area, come join me at the Dominique Levesque Bridal I Found the Gown Bridal Sale! *This is not a sponsored post, I just wanted to share this amazing sale with my readers! ahhh so exciting i wonder if you will find your dress! so exciting! My two cents of bridal gown shopping is to just bring one or two people with you when you try on gowns. Too many opinions will confuse yourself. Know what style you like and look good on you. I worked at a bridal boutique in Toronto many years ago and saw so many confused brides-to-be who couldn't make up their mind due to peer and family pressure. You will know it is the dress when it is the right one. Have fun!